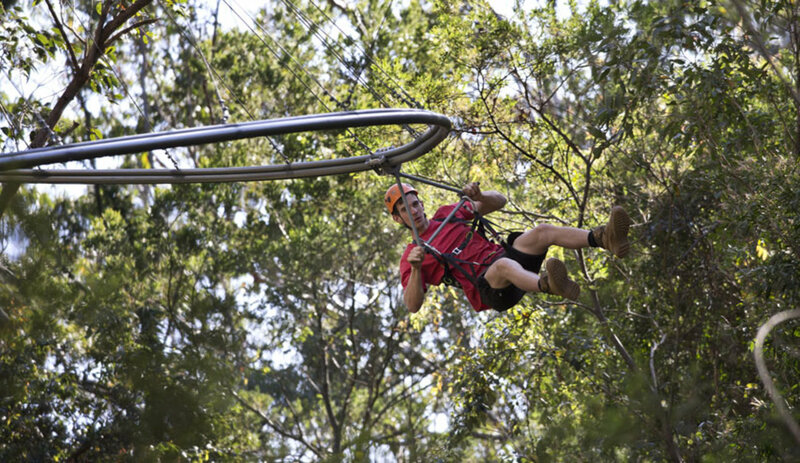 EcoZip maximises adrenalin adventure in a very safe package. 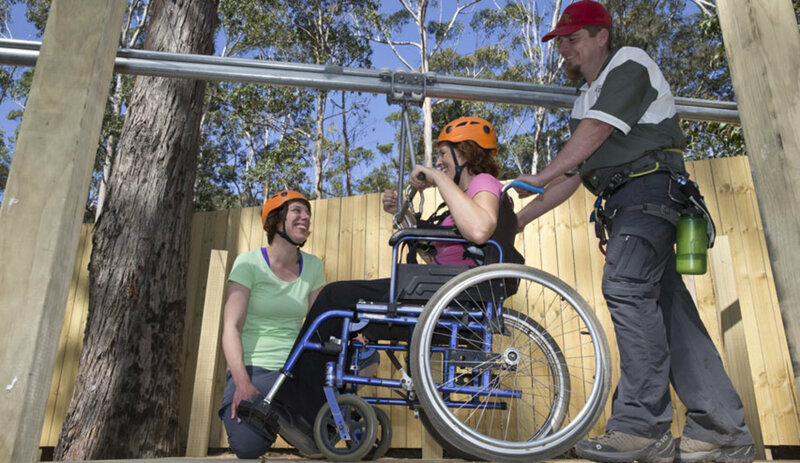 EcoZip is a well thought out zipline system, developed by our Australian partner Ecoline. It maximises adrenalin adventure in a very safe package. There are few other attraction with such insane speed, sharp bends and crazy loops! If your visitors are up to it Contact us! 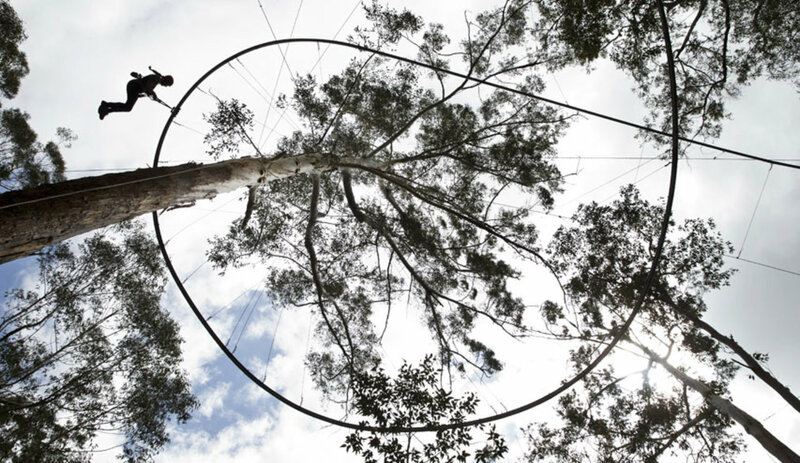 It is an extremely minimalistic cable car built in trees. The length can be over 500m. It uses cutting edge technology and materials. The EcoZip is a unique product of our Australian partner, offered in Europe by our company, Unipark. The EcoZip is a source of extreme adventure and excitement, found only in the most challenging adrenaline sports. It will instantly become the number one adventure attraction wherever it is built. A forested area of minimum 1–2ha. The minimum number of trees for 200m length is 50. The trees must be fully grown to a min. diametter of 30cm, ideally 45cm. The EcoZip is designed and built in accordance with international standards and ISO 9001 certification for both the European and Australian markets. Our Ecoline partner is a member of the French Association of Rope Course Builders. All EcoZips are built to be used within any European country.